Home » How Did Alaska Reduce the Number of Commercial Fishermen Deaths to Zero? How Did Alaska Reduce the Number of Commercial Fishermen Deaths to Zero? This month, the U.S. Coast Guard tallied up the numbers and it turns out Alaska made history. Last year is the first year that not a single commercial fisherman in the state died working at sea. While six commercial fishing boats sunk during this time period, every man on board was rescued. Between 1990 and 1998, 31 commercial fishermen died each year, on average. However, in the late 1980’s the number of fatal commercial fishermen accidents dropped to an average of 13 per year. The Alaska Department of Fishing and Game (ADF&G) recently published an article where they advocate commercial fishing in Alaska still has some risks, however, the state has made some changes that have obviously had major positive effects on fishermen safety. What Changes in Safety Did the State of Alaska Make to Reduce Fishermen Deaths? Since 1980, an average of 31 commercial fishermen died per year in Alaska. In ADF&G’s article, a former Coast Guard who specialized in vessel safety said management practices have drastically changed over the years within the fishing industries, particularly in regards to derby-style crab and halibut fishing. During the 1980s and 1990s, crab and halibut fishing seasons were only open during short time frames. Fishermen went out in horrible weather with exhausted crews and overload their boats in order to make a profit during this timeframe. Since then, seasons have been extended, which means fewer boats are on the water and fishermen have a chance to spread out the season. Additionally, the amount of crabs a boat can carry has been limited by vessel size, which has helped to decrease overloading. The former Coast Guard went on to say employers and vessel owner are required by the Commercial Fishing Industry Vessel Act to carry immersion suits and life rafts. The law also requires employers to provide first aid training to crew members and carry out regular safety drills. 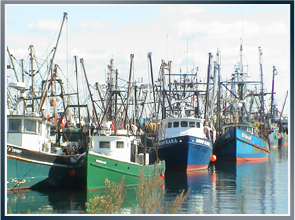 Additionally, the Alaskan Marine Safety Education Association (AMSEA) provides courses that teach fishermen and other maritime employees how to use their gear, act in emergencies and assess any risks that may come up while at sea. AMSEA puts its applicants in survival situations and teaches how to ignite a flare, put out fires and do damage control on vessels. They even have courses on hypothermia and what to do in a situation involving cold water shock, which may explain why all of the crewmen on the sunken vessels last year were able to survive. The association has trained more than 200,000 people in 20 years of operating. The Coast Guard also began actively implementing dockside exams. These frequent exams, which are given four times more frequently in Alaska than any other state, have incited associations and insurance companies to require the exam inspection approval sticker in order to receive services. Changes in ship building and technology have also likely contributed to the reduction of fishermen deaths. Boats are no longer smaller, lighter, wooden boats. Rather, boats are made to be heavier, with larger beams and freeboards. With regards to electronics, GPS and radar detection have drastically improved. The invention of the Emergency Position Indicating Radio Beacon (EPIRB), now required by law, makes it easy for rescuers to find any vessels in cases of emergency. Though Alaska will not see a perfect year for 2016, as several fishermen have already experienced fatal fishing accidents, the numbers of fatalities are still drastically lower than prior years. The former Coast Guard does say fishing is generally far safer than it was decades ago. He went on to say there is an attitude shift in the industry and now, younger fishermen are becoming more conscious about safety regulations. Hopefully, fishing companies in other states adopt programs that are similar to Alaska in order to someday help the number of national fishermen fatalities reduce to zero as well. David Anderson is a maritime injury attorney with Latti & Anderson LLP who helps fishermen and other victims of maritime injuries.